Bumbee: Quest for the Lost Babees has generated a lot of buzz. 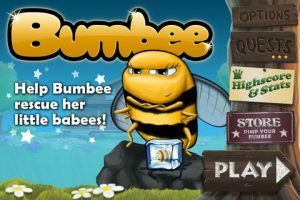 In just the first ten days it was on the App Store, this game offering from Imperial Game Studios was downloaded a quarter of a million times. With new layouts generated every three hours to keep the gameplay fresh, this fun little game is the perfect time waster during your morning commute (or during a really boring lecture.) 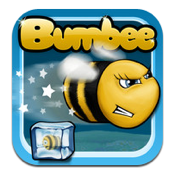 The gameplay is simple: place your finger on the touchscreen to fly upwards, release your finger to plummet towards the ground. 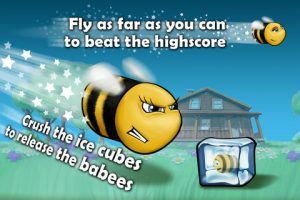 All the while, you’re moving forward and trying to dodge obstacles, all while collecting coins, power-ups, quest achievements, and of course, your baby bees, who have been frozen, Han Solo style. 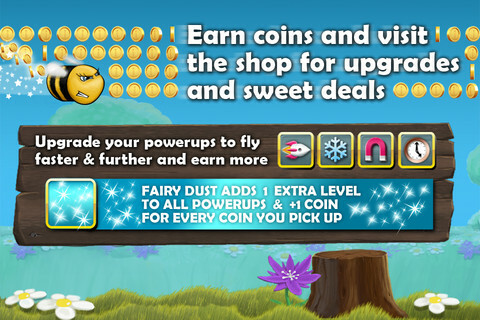 The more power-ups you get, the more easy it is to collect coins. Power-ups include magnets, a rocket to give you super speed, and a power-up that lets you freeze time. 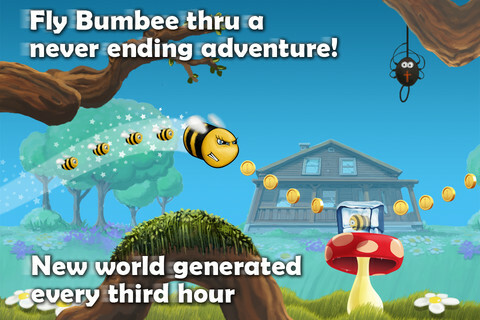 When your clock runs down, you’ve got a chance to cash in those coins in the store (the “Pimp Your Bumbee” store, of course), and level up your abilities so you can get even more coins and save even more babees. 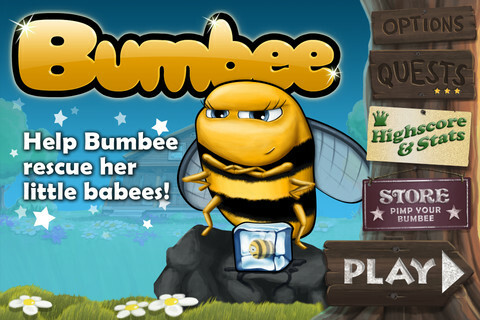 Speaking of babees, the more of them you save, the more your final coin value increases. Of course, you can also use real world cash to buy upgrades in the shop. But where’s the fun in that? More importantly, where’s the financial sense?